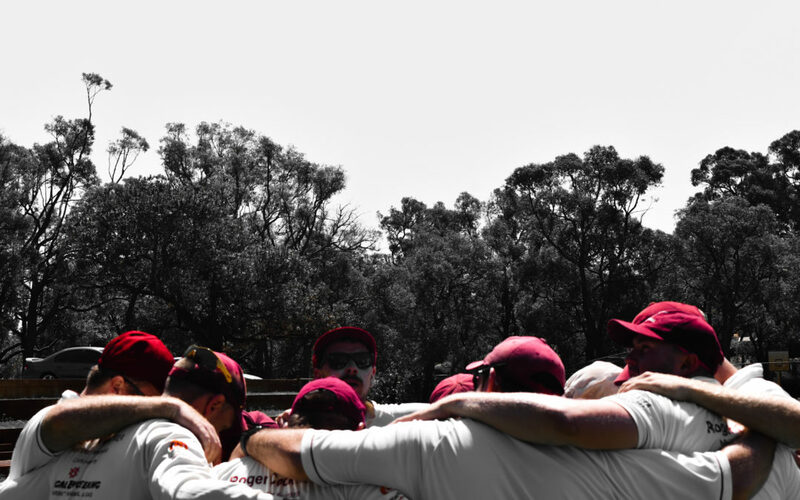 Kwinana’s 2nd Grade dismantle Armadale to claim a spot in the grand final as 4th Grade rolls through Jandakot Park for the third straight week. 2nd Grade lost the toss and found themselves bowling first. Armadale made a steady start before Andrew Gibbs fired taking 6-21 in a brilliant 15 over spell. Andrew Gibbs delivers the first ball before going on to take 6-21. Photo by Aaron Kirby. Armadale lost 5-8 including a triple-wicket maiden from Gibbs. Matthew Parnham (3-1) ensured Armadale never recovered taking wickets with his first two deliveries as Armadale were bowled out with the first ball after tea for 68. Kwinana went into the batting innings full of confidence but was feeling nervous at 3-25 before Josh Atkinson (25) steadied the innings. Thomas Moore finished the run chase with a quick fire 36. Kwinana ended the match on day one making 4-94. With minor premiers Piara Waters knocked out Kwinana will host Riverton-Rostrata at Orelia Oval for the flag. 4th Grade came into their semi-final as underdogs despite crushing opponents Jandakot last week. The minor premiers put Kwinana into bat. The openers put on 34 before a collapse saw Kwinana fall to 6-66. Marshall Clark (45) and Jon Cribbs (29) were able to rescue the innings and help Kwinana post 151. Kwinana bowled with discipline, taking wickets in clumps. Qaisar Mewati (5-27) and Rob Taylor (4-9) controlled the innings despite some nervous moments in the field. Kwinana completed the upset by bowling Jandakot out for 126 to set up a date with Cockburn in the Grand Final at Davilak Reserve. One-Day Gs had a tough task against top placed Phoenix in their semi-final. Kwinana was asked to bowl first and struggled early before taking 4-22 to get themselves back into the game. Phoenix controlled the back end of the innings to make 9-185. Kwinana lost their leading run scorer Peter Geere for a golden duck and struggled to recover despite a rear-guard effort of 17 from Stephen Moore. Kwinana was bowled out 77 runs short on 108 ending their season.